BANGOR — Nationally, many small colleges are facing big enrollment challenges. A declining pool of high school seniors, combined with the increased cost of attending college, has reduced the number of traditional undergraduates who pursue higher education after high school. In some northeast states, there has been a 16 percent decrease in the number of high school seniors over the last 10 years. This has had a negative impact on university and college budgets. In some cases, institutions of higher education have had to close their doors. In stark contrast to what many other colleges and universities are experiencing, Husson University’s Fall 2018 incoming class is on track to break records. On May 1, 2018, the University’s Admissions Office reported that first-year student deposits are up 12.5 percent over last year. If this enrollment trend continues through the summer, this group of students would be the largest incoming class in Husson’s 120-year history. “Husson has just the right blend of outcome-focused academic programs at an affordable price point. 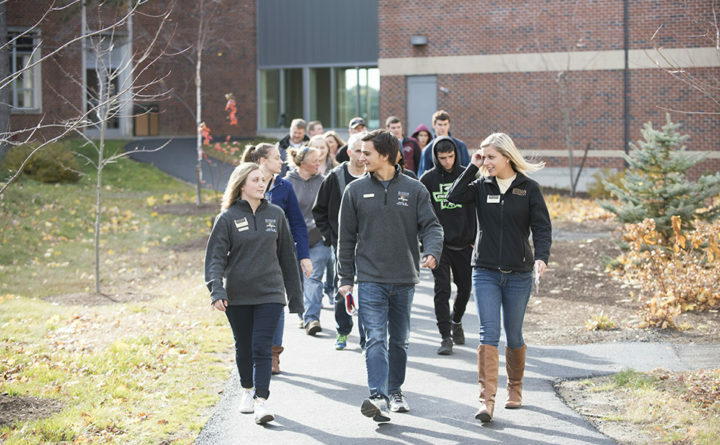 In addition, Husson’s small class sizes allow students to get the personal attention they deserve,” said John Champoli, vice president for enrollment management. According to the May 1 data, more students from Husson’s home state of Maine are planning to attend the University in the fall. In addition, this data is projecting an increased number of students from New Hampshire, Vermont, Massachusetts, Connecticut, New York, New Jersey, Pennsylvania and Maryland. Adam Smith, Husson’s director of undergraduate admissions remarked, “Efforts were made to enhance recruitment strategies over the past year. The strong results that we’re seeing are an indication that the many positive initiatives we adopted during the recruitment cycle led to a growth in enrollment that exceeded our expectations.” May 1 is an important day for colleges and universities. This is the national deposit deadline for accepted students across the country. On this day, prospective students declare where they are going to college in the fall.